Al & Bob's Sports is the fishing and hunting experts of Grand Rapids. Their motto is 'Sportsman serving sportsman for generations' is just as true now as it’s ever been. The DTE “Small Business Spotlight” podcast showcases our Outstanding Small Business Spotlight nominees and is hosted by WOOD Radio's Steve Kelly. DTE Energy and WOOD Radio are giving a small business a chance to win $25,000 in 2018. Two small businesses from Michigan will be chosen as finalists each month by DTE Energy and WOOD ... See More Radio. Each finalist will be featured on WOOD Radio and on this small business podcast. Out of all nominees chosen this year, one business will be randomly chosen to win $25,000 from DTE Energy by DTE Energy and WOOD Radio! WOOD Radio and ESPN 961 present EXCLUSIVE live start to finish coverage of the 41st annual Fifth Third River Bank Run presented by Amway with Spectrum Health , Official Health Partner ! WOOD Radio’s Live broadcast team of Steve Kelly and Bret Bakita, along with Lauren Smith, and Rick Berkey were on hand on Saturday May 12, 2018 for ... See More pre-race and start to finish coverage of the 41st Annual Fifth Third Riverbank Run. Need a kick in the Plants? The Flowerland Garden Show with Rick, Doug, and Kristi can help you with their useful advice. Tune in weekly to hear our news department talk to people making a difference in West Michigan. A fun podcast highlighting female leaders across our state and their journeys getting to where they are today. It's time to get to know the person behind the position. Every week on the RepcoLite Home Improvement Show we interview a variety of experts from the West Michigan area and beyond! If you heard one of our guests and would like to get in touch to ask further questions, we've got everything you need in the table below. A weekly program heard on WOOD Radio in Grand Rapids, MI. Soundings is hosted by The program is hosted by The Rev. Michael C. Fedewa, rector of St. Andrew's Episcopal Church in Grand Rapids; Diane Maodush-Pitzer--Senior Affiliate Faculty, GVSU's Religion Dept. ; and Rev. Mark C. Przybysz, Pastor at St. Anthony of Padua Parish ... See More in Grand Rapids. Soundings is a weekly ecumenical conversation on current events and culture and their relationship to faith and spirituality hear in Grand Rapids exclusively on NEWSRADIO WOOD 1300 AM & 106.9 FM. West Michigan's Morning News' Steve Kelly and Bret Bakita talk one-on-one with West Michigan's brightest business leaders, plus new businesses are profiled here each week. The CEO Spotlight Powered By Corp! Answering your question about Real Estate, Elder law, Business Law and more, every Sunday morning at 7. Find out more about David Carrier at http://davidcarrierlaw.com/. 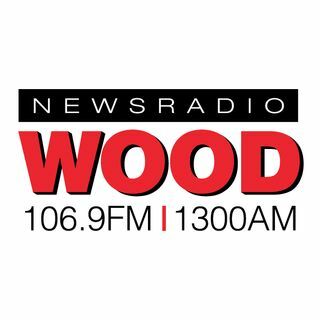 Catch Attorneys Curt Benson and Mike Dunn every Sunday night from 6-7 pm exclusively on WOOD Radio! Dennis Tubbergen hosts "The Retirement Lifestyle Advocates Radio Program" every Sunday morning from 10-11 am on WOOD Radio! At Retirement Lifestyle Advocates, they know you want to retire wealthy, secure, and financially independent. West Michigan Live with Justin Barclay is a one hour daily show about what's going on in West Michigan and around the world. Special featured interviews with interesting people you hear about on WOOD Radio.